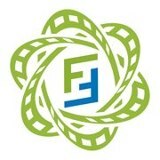 In addition when submitting a support request via email please note that our new support email address is now ffmsupport@flickfusion.com, however, our previous support email addresses will get there just fine! Even so, you may want to update your address book. When submitting a request via email, our ticketing system will send you notifications and responses from our support agents. The address these emails will come FROM has changed to: support@flickfusion.zendesk.com. Please be sure to add this address to your spam filter white list to assure you receive all support communications from us!